Apple today seeded the third beta of an upcoming iOS 12.1 update to developers, one week after seeding the second beta and three weeks after releasing iOS 12, a major new version of the iOS software. Registered developers can download the new iOS 12.1 beta from Apple's Developer Center or over-the-air once the proper configuration profile has been installed from the Developer Center. iOS 12.1 includes several new features that Apple promised would come to the new iPhone XS and XS Max devices. The beta introduces support for the eSIM, which is a digital SIM that lets you activate a cellular plan from a carrier without the need to use a physical SIM card. Carriers will need to implement support for eSIM, which is likely to happen after iOS 12.1 launches. In the U.S., AT&T, Verizon, and T-Mobile will support eSIM. 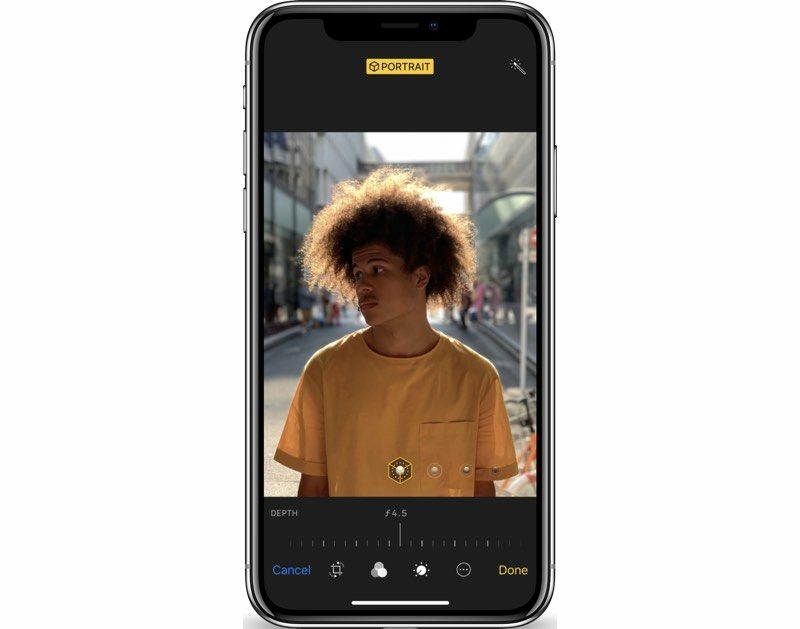 The iOS 12.1 update brings a new real-time Depth Control feature, which lets you adjust the depth of field of your Portrait Mode photos before you capture them. Right now, in iOS 12, Depth Control is only available for post-capture editing. If you tap on the "F" icon at the top of the screen while capturing a photo you use Depth Control to adjust the amount of background blur in an image. 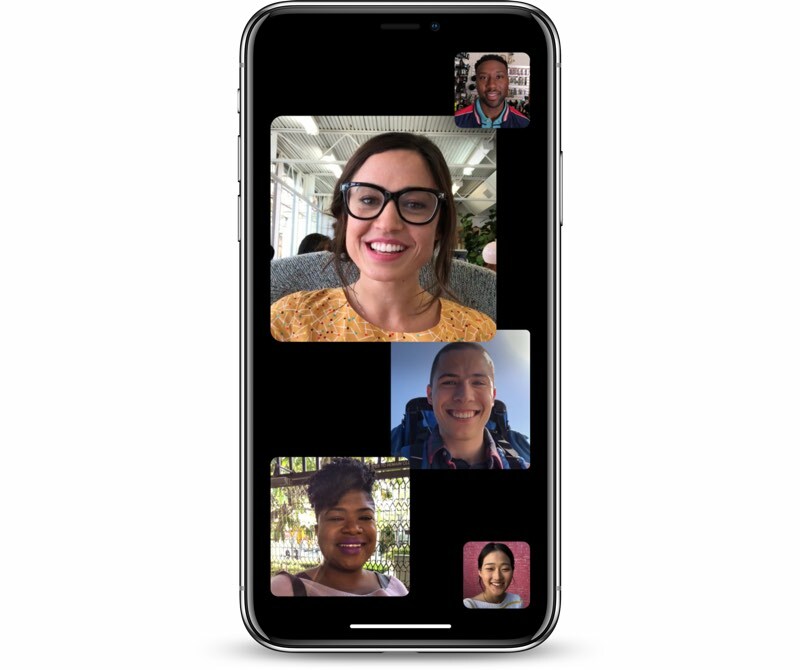 In addition to these iPhone XS and XS Max features, iOS 12.1 reintroduces the Group FaceTime feature that was removed from iOS 12 during the beta testing period. Group FaceTime was present in many early betas but was ultimately removed because Apple needed more time to test it. Group FaceTime is designed to let iPhone and Mac users conduct video and audio chats with up to 32 participants at one time, with new camera effects features included. The update adds more than 70 new emoji to iPhones and iPads, with options that include red hair, gray hair, curly hair, cold face, party face, face with hearts, mango, kangaroo, peacock, lobster, cupcake, and tons more. As for bug fixes, iOS 12.1 addresses a charging problem that could cause iPhone and iPad models running iOS 12 to fail to charge when connected to a Lightning cable while the screen is off and it fixes a bug that caused iPhone XS and XS Max models to prefer 2.4GHz WiFi networks to 5GHz networks, resulting in perceived slower WiFi speeds. Both of these bugs have also been addressed in the iOS 12.0.1 update, released yesterday. If any additional new features are found in the third iOS 12.1 beta, we'll update this post with details. Update: Apple has also seeded a new beta of iOS 12.1 to its public beta testing group. The update adds more than 70 new emoji ('https://www.macrumors.com/2018/10/02/ios-12-1-new-emoji-characters-coming/') to iPhones and iPads, with options that include red hair, gray hair, curly hair, cold face, party face, face with hearts, mango, kangaroo, peacock, lobster, cupcake, and tons more. Apple today seeded the third beta of an upcoming iOS 12.1 update to developers, one week after seeding the second beta ('https://www.macrumors.com/2018/10/02/apple-seeds-ios-12-1-beta-2-to-developers/') and three weeks after releasing iOS 12 ('https://www.macrumors.com/2018/09/17/apple-releases-ios-12/'), a major new version of the iOS software. iOS 12.1 includes several new features that Apple promised would come to the new iPhone XS and XS Max devices. 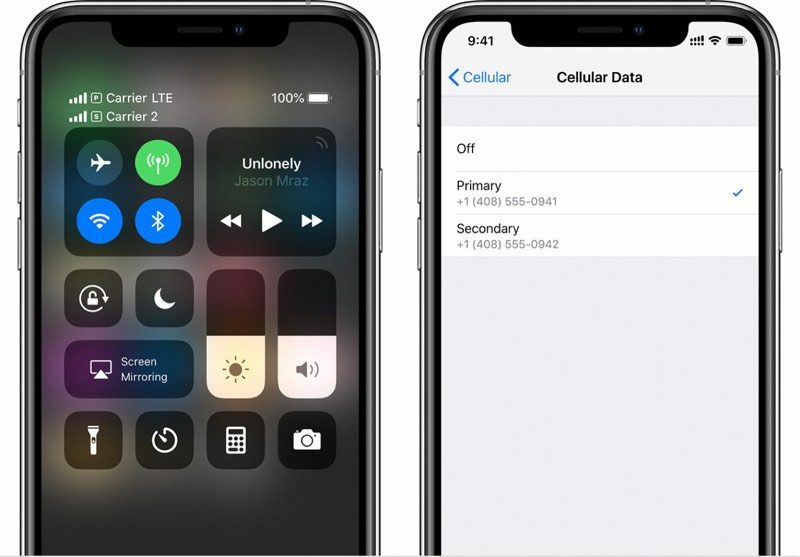 The beta introduces support ('https://www.macrumors.com/2018/09/26/esim-feature-available-in-ios-12-1/') for the eSIM, which is a digital SIM that lets you activate a cellular plan from a carrier without the need to use a physical SIM card. As for bug fixes, iOS 12.1 addresses a charging problem ('https://www.macrumors.com/2018/10/02/ios-12-1-charging-bug-fix/') that could cause iPhone and iPad models running iOS 12 to fail to charge when connected to a Lightning cable while the screen is off and it fixes a bug that caused iPhone XS and XS Max models to prefer 2.4GHz WiFi networks to 5GHz networks, resulting in perceived slower WiFi speeds. Both of these bugs have also been addressed in the iOS 12.0.1 update ('https://www.macrumors.com/2018/10/08/apple-releases-ios-12-0-1-update/'), released yesterday. Uhhhh does it fix the LTE issues?????? What is the LTE issue? Many people, myself included, have been having horrible cellular LTE reception issues with the XS/XS Max. I bought my XS Max on launch day and have AT&T in NYC. Cellular/LTE reception is horrendous. Averaging ~1-3mbps and regular dropped calls and signal loss. There have been people reporting this across carriers in all regions. Even those with the same carrier and in the same region are having different experiences. Myself and others have been in touch with Apple support engineers who have asked us to send them sysdiagnose files and logs. I have been working with someone for almost 2 weeks and unfortunately have received no updates on if they have determined a root cause. Some have returned/replaced their phones and even that seems to be a mixed bag. Some have said their replacement units are working as expected while others have gone through more than 2 phones and claim they all have had the LTE issues. Could somebody explain to me why they not fixing to LTE issues????? Perhaps they are still investigating/working on it? thanks for the explanation - everyone is saying LTE issues without describing - wondering while you are at work or home - do you experience the same issue over WIFI calling? Sadly, this could be a REAL possibility!